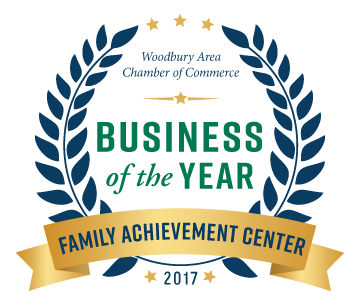 Family Achievement Center was founded on the ideal that every child and every family deserves hope during challenging life circumstances. Tom & Susan Hoel, founders of Family Achievement Center, were blessed with three children: Anthony, Matt, and Meghan. It is their oldest son, Anthony, who would become the legacy behind Family Achievement Center. When Anthony was two and half years old, he was diagnosed with Duchenne Muscular Dystrophy. This diagnosis is one that no parent can prepare for. The coming years would be full of blessings, challenges, and heartaches as Tom and his family pursued the greatest possible quality of the life for Anthony. In addition to his physical challenges, Anthony also struggled with behavioral and emotional issues. Finding the right treatment was very difficult; exhaustive research often came up empty. 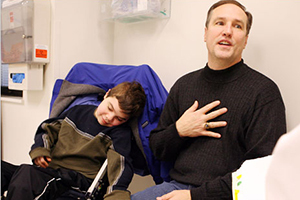 Tom often experienced a complete indifference to his son with the feeling that a life-threatening illness was what it was. That level of indifference is what propelled Anthony and his family into a tenacious battle to demand a higher quality of life. During that battle, Tom ran into different medical channels that sparked the idea to create a unique business model, combining multiple therapy channels into a holistic view of a child with an approach that focused on supporting the entire family. Combining physical, occupational, and speech therapists together provided an opportunity for the child to receive integrative care. Special needs deserve special attention. Combining proven techniques in the medical field with a mission to provide hope and improve lives brought life to the heart and soul of Family Achievement Center. The Family Achievement Center’s ideals required state-of-the-art facilities and a team of professionals that passionately provide hope and improve lives. The model is not only for children with life-threatening illnesses but also for children with developmental disorders. When thinking about the ways in which Family Achievement Center operates, Tom says that it began and continues to be inspired through Anthony as the standard by which all patients are treated. “Every parent wants the most for their child, and I don’t want anything less for any other patient than I would have wanted for Anthony,” says Tom.